Complete the form below and today's prices will be revealed instantly on every new vehicle. No waiting required. New vehicle pricing includes all offers and incentives. Tax, Title, License, and $699 dealer processing fee not included in vehicle prices shown and must be paid by the purchaser. While great effort is made to ensure the accuracy of the information on this site, errors do occur so please verify information with a customer service rep. This is easily done by calling us at 757-648-1057 or by visiting us at the dealership. Pricing displayed is based off of purchase. Leasing figures may vary. See dealer for details. **With approved credit. Terms may vary. Monthly payments are only estimates derived from the vehicle price with a 36 month term, 3.99% interest and 10% downpayment. 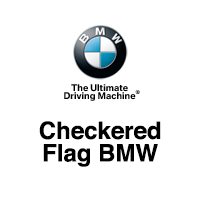 Checkered Flag BMW	36.8472481, -76.1622813.